Pioneers in the industry, we offer hdpe laminated sacks, pp woven sacks, hdpe printed woven sacks, matte laminated woven sacks, pp woven rice sack and pp laminated sack from India. 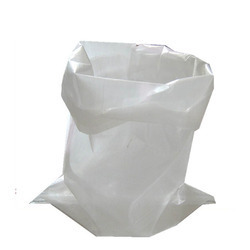 We are recognized as the prominent manufacturer and supplier of HDPE Laminated Sacks. 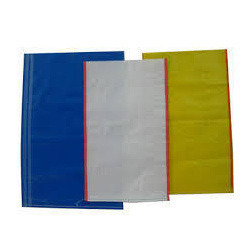 These laminated sacks can be availed in customized options in accordance with the customer’s needs. Offered laminated sacks are manufactured from 100% virgin PP and are used packaging of rice, fertilizer, flour, sugar, chemical & sand. Our laminated sacks are checked on various parameters of quality in ahead of their final dispatch. We are instrumental in offering a comprehensive assortment of PP Woven Sacks that find wide application in various industries such as food industries. The offered sacks are accessible in different sizes and customized options, in order to fulfill the variegated expectations of our patrons. Our provided sacks are properly tested by the team of our quality controllers so as to dispatch a defect free range to customers. 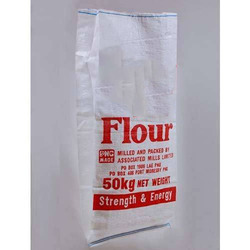 Also, our clients can avail these sacks from us at nominal prices in a given time frame. We are a noteworthy manufacturer and supplier of an attractive assortment of HDPE Printed Woven Sacks. These printed woven sacks find wide application in diverse industries for packaging materials with optimum protection. Offered printed woven sacks are manufactured from quality proven material and modish technology as per the industry norms. Our printed woven sacks are checked on various parameters of quality in ahead of their final dispatch. We are a well-known organization engaged in manufacturing and supplying the most attractive range of Matte Laminated Woven Sacks. Our provided woven sacks are well designed by our experts using best quality material & leading techniques in sync with the standards of quality. These woven sacks offer extra protection to materials likes chemicals, sugar, fertilizers etc. 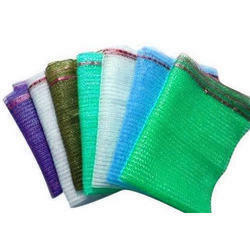 Offered woven sacks are suitable for jute and paper packing. We are actively engaged in offering our clients the best range of PP Laminated Sack. Our given laminated color sacks are manufactured by our competent workforce utilizing latest machines and high quality material. 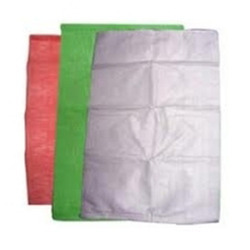 These laminated color sacks find their applications in various areas such as solid chemicals, fertilizers & food grains. Our valuable clients can avail these laminated color sacks at nominal prices.